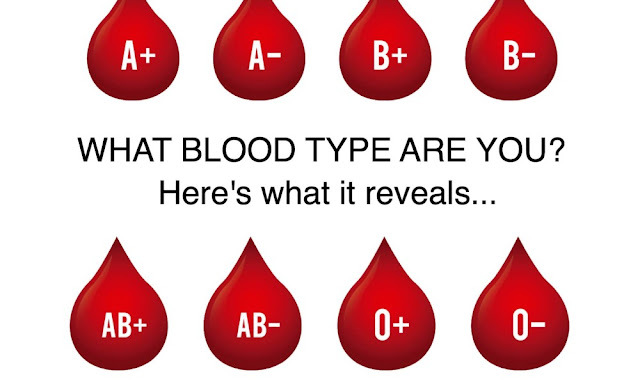 Fun & Inspiration What Does Your Blood Type Reveal About Your Personality? It pumps through your veins and arteries keeping every cell in your body alive, and yet you rarely think about your blood or blood type, let alone how it relates to your personality. Strangely enough, your blood type and personality may have more in common than you would think. Much of our personality is determined by our genetics. so it makes sense that personality and blood type could be connected. Your blood type is also determined by your genetic heritage. In a cross-cultural study of blood antigens and the personality traits of neuroticism and extraversion, researchers found correlations between type and personality. You may recall the book Eat Right for Your Type by James D’Adamo which spoke to matching diet with your blood type. Donna Gates worked with the research of James D’Adamo for her book, The Body Ecology Diet. There are definite tendencies in blood type related to health. For example, 8 out of 10 children with autism have type A blood. Japanese employers will ask the blood type of their job candidates because they feel strongly that personality is linked to blood type. They also use blood type information for finding potential romantic partners as well as for marketing specific products to a certain blood type. The O in type O might stand for outgoing because that is a typical personality trait of this blood type. People with blood type O tend to be go-getters who set high standards for themselves and achieve them. The type O personality is usually a leader, has excellent intuition and can manage stress better than other blood types. These personalities tend to be athletic and confident but can also come off as insensitive to others. O’s are most romantically compatible with other blood type O or type AB. The most research on personality and blood types comes from Japan where 74% of the population is blood type is A. A’s have been said to have a more sensitive constitution than other blood types because stress can weaken their immunity. Those with blood type A tend to me more anxious and less openly trusting than other blood types. They tend to handle stress poorly. Since they are usually introverted, blood type A personalities tend to be linked to intellectual pursuits like science, math and research. They work best independently, but are also good at cooperating with others. Blood type A personalities can be passionate, but they require trust to be established before they can be intimate with someone. They tend to be perfectionists who are very patient. People with blood type A are most compatible with other type A’s or with the blended personality of blood type AB. If you are a blood type B, your personality tends to be creative, introspective, empathetic, emotional and intelligent. B blood types can be self-focused and can come across as selfish as a result, but they tend to be the most caring of the blood types. This blood type can also be said to be a balance of the personalities attributed to both Type O and type A. Type B’s are ambitious like type O’s are but they are also thoughtful like the Type A.
Health-wise, type B personalities are more likely to develop lupus, multiple sclerosis and chronic fatigue. Blood type B personalities are compatible with people like themselves who have blood type B or they can also relate well to blood type AB. As you might imagine, people with a mixed blood type AB also have a mix of personality traits. AB blood types are trustworthy, but they can be both shy or outgoing depending on the situation. AB blood types can be charming, connected to their spirituality, relaxed, open to change and friendly. The AB blood type personality is very individualistic and prefers to be different form other people. Romantically speaking, blood type AB is compatible with any of the blood types, including other AB’s.